Baths of the imperial era, which consisted an integral part of the everyday life in the roman cities, have been found scattered all over the town plan of Miletus. Among them, the Baths of Faustina situated at the north of the theatre hill near the homonymous port and the stadium of the city, stand out. The complex is well preserved, therefore its particular spaces can be discerned. 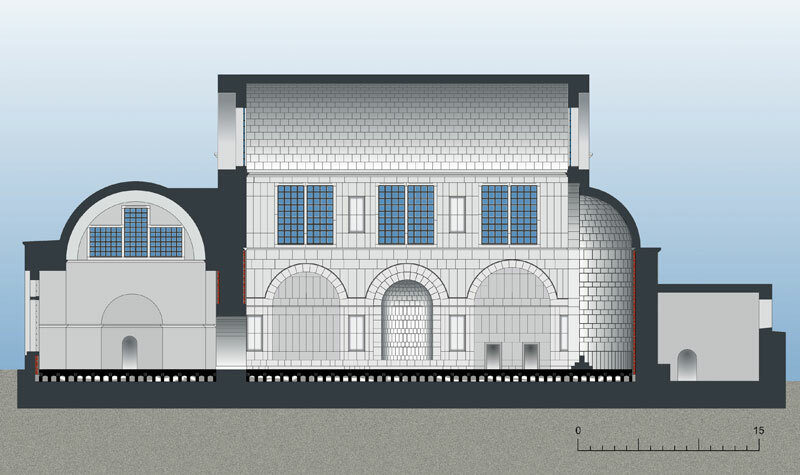 The main characteristic of the baths’ architectural design is the asymmetrical arrangement of the chambers due to the peculiar circumstances and the limitations dictated by the building area. The baths’ plan was adjusted to the morphology of a terrain of an inaccessible area, where once was a river bed. 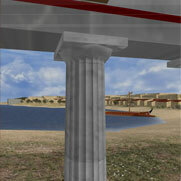 The edifice was not included in the Hippodameian town planning. A large square palaestra (62X64 m.) occupied the western part of the complex and constituted the main area of physical exercises. The courtyard was surrounded by a single-storey stoa with marble monolithic unfluted columns with composite capitals, which carried an architrave with elaborate sculptural decoration. 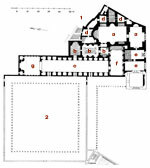 The bath block was developed on the eastern part of the complex and it was composed of eight rectangular vaulted halls of different dimensions, arranged parallel and perpendicular to each other to form an irregular and compact whole, enveloped from the north and the east by smaller service areas. The heated and cold rooms had pools and luxurious construction with revetments and marble floors, while sculptural figures completed the decoration of the interior spaces. 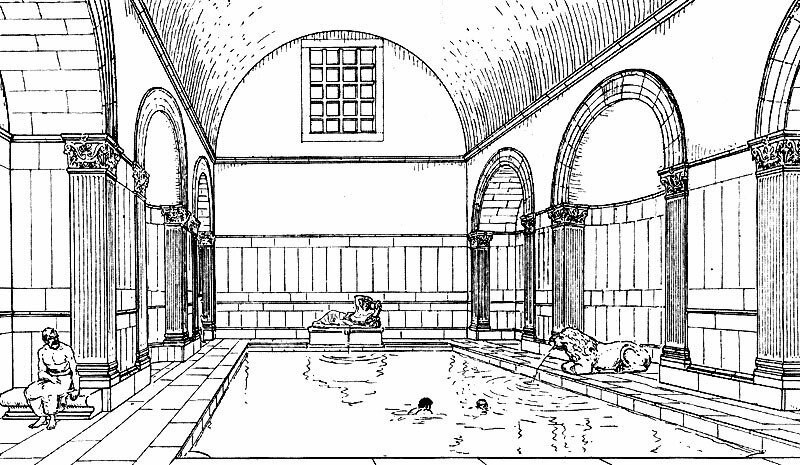 The bath rooms were arranged behind the long basilical hall (ambulacrum) 80 m. length, which consisted a common architectural feature in the architecture of the roman thermae and served as meeting hall or as changing room. 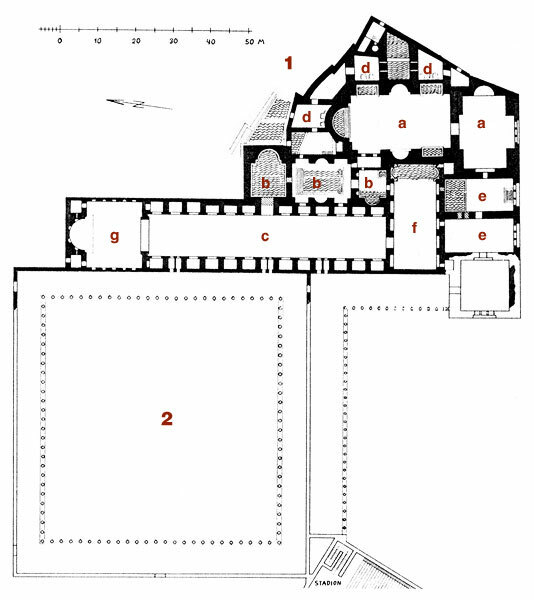 On its long sides there were 13 rooms (4 m. high and 2-3 m. width.) equipped with beds for the visitors’ rest. To the north of the ambulacrum there was a square apsidal hall with elaborate architectural and sculptural decoration, which served the imperial cult. Statues of Apollo and the Muses, which decorated the niches opened at the hall’s wall, are now exhibited in the Archaeological Museum of Istanbul. 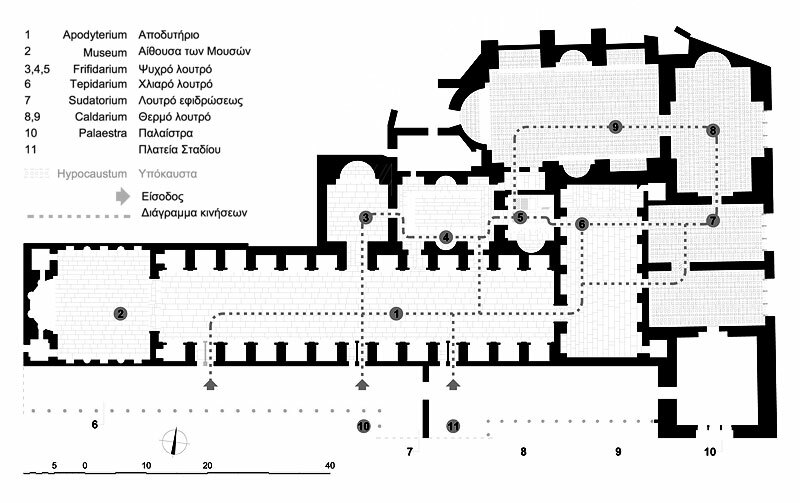 The route of the bather is the following: From the cold room (frigitarium) placed to the east of ambulacrum, he proceeded to the warm room (tepidarium) and then he entered the hot room (caldarium), the large central hall of the baths, measuring 27,30Χ14,85 m., which included square and semi-circular swimming pools (natatio), and he finally reached the sweat chambers at the southeast corner of the complex. Inside the cold room (frigitarium, measuring 6,50X12 m.) there was a pool with water (natatio, frigida) decorated with statues, which served as fountains. 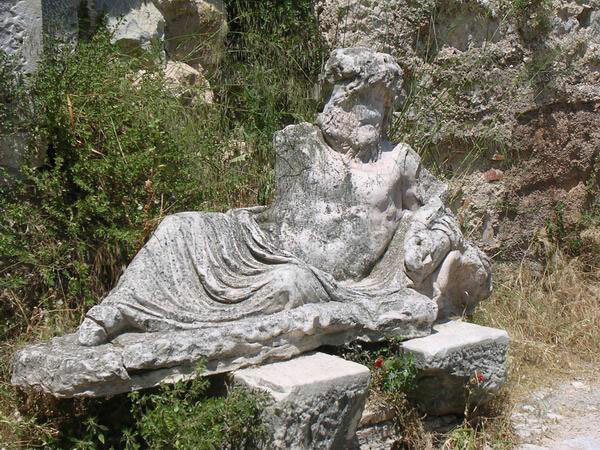 The most remarkable among them is the statue of a river god, likely the personification of the Maeander, fragments of which have been found during the excavations. The heating system was situated at the east and north part of the complex. From there the heating was channeled through hypocast and clay pipes to the central hall of the baths and the other rooms of the complex. The Faustina baths were build around the middle of the 2nd century in honor of the empress Faustina, the wife of Marcus Aurelius, who visited Ephesus (though not Miletus ) in 164. The complex was rebuilt approximately during the 3rd century .